Qualifications: Ensure to ask about the qualifications of the artist. This is a very vital thing you must get to know about the tattoo artist. They usually make use of needles, and some unqualified artists could infect you with some diseases if they don’t properly sanitize their equipments. Hence the qualification and experience of the artist will give you a clue on what could be the outcome of their services. Guarantee: You should also ask if their works are guaranteed. This gives you assurance that when you are not satisfied with their work, they will have to fix it. Some good studios will fix it without an extra fee. Money-back policies are necessary too, so you can get a refund when you are not ok with the job done. Cost: Cost is another vital element you must ask about. You want to know the total cost before you decide to go for a tattoo. 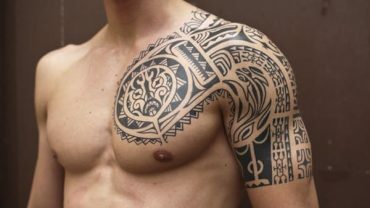 Large tattoos are generally very expensive, even the small ones are not cheap, most especially for those on a budget. So, to be on the safer ground and to be safe from surprises, be sure of the price before you finally decide. Infections: Everyone wants to be free from infections. Good tattoo artists should be able to educate you on most likely infections in the process and how they can be prevented. You should also be convinced of their services and how they can help in preventing such infections. An expert should also be vast about such diseases and should be able to instruct you on what to be done if such infections are unfortunately noticed. Use of Needles: If you have phobia for needles, talk it up with your tattoo expert if there could be a way out. Don’t shy away from this, as the fear of needles is common with people. Although the use of needles cannot be avoided, but if that is your fear, then simply confide in him, as he may have to be extra careful to ensure the process is mildly done as much as possible.